National Romanticism still has a strong position in Norway, and the bunad is one of its most visible and well-known expressions. The Bunad Blankets (Bunadspledd), a series of blankets launched during the London Design Festival in September 2012, represent a simplification and translation of ideas derived from Norwegian folk costumes. The blankets introduce this rich tradition into our everyday interior environment. Based on bunad motifs from five regions in Norway, they are woven from pure wool at Mandal Veveri. The weaving mill Mandal Veveri has produced textiles with natural fibres since 1918. It selects only the finest wool, mohair, linen and cotton materials. All yarn and dyes are sourced from approved suppliers in Norway and Europe. As one of Norway’s leading producers of woollen goods, Mandal Veveri has a century of experience within the textile manufacturing industry. It is the leading producer of textiles for bunads (Norwegian folk costumes). The bunad is a significant conveyor of cultural values, for in making the costume, Norwegian patterns and handicraft traditions are passed from one generation to the next. 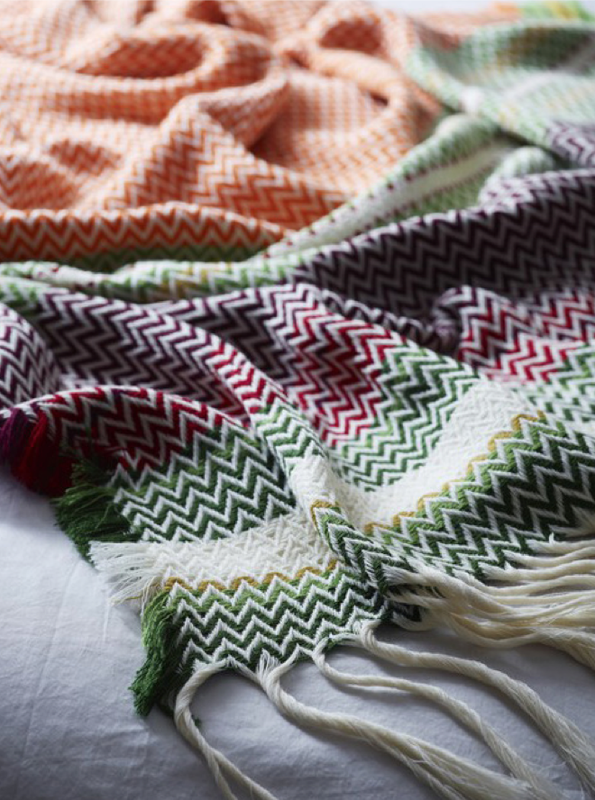 In 2012 Mandal Veveri started producing the Bunad Blanket designed by Andreas Engesvik, Oslo.